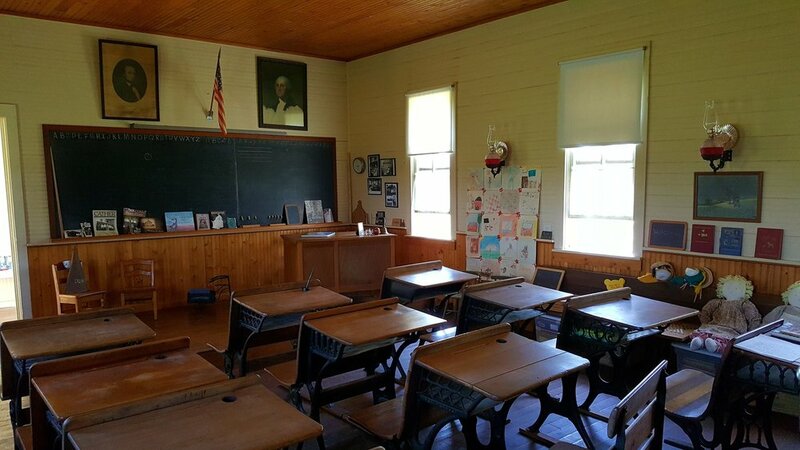 Located on the Yost Farm northeast of Red Cloud sits North Star Country School, District 81, built in 1887 and closed in 1959. This school was moved and lovingly restored by John and Ardis Yost after John gave the building to his wife as a gift. Ardis is a former teacher who began her career at Garfield School, District 85 in 1949 at the age of 17. After spending 3 decades boarded up and being used as makeshift grain storage they began the restoration process, a huge challenge after such neglect. 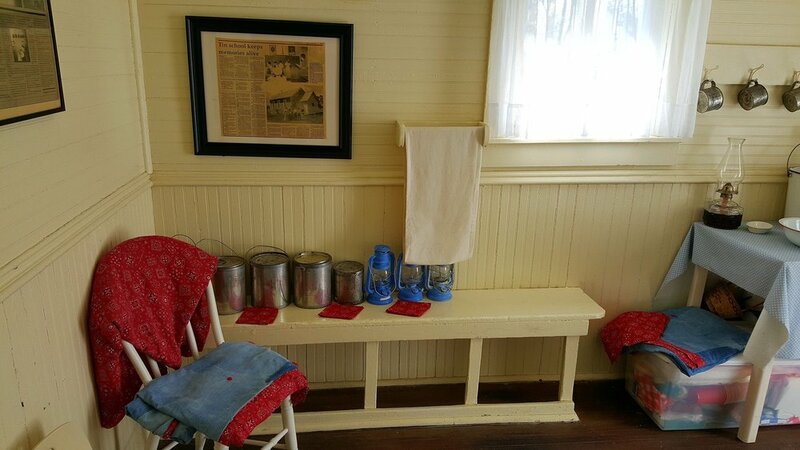 Fortunately, many of the original features of the school were still intact, the pressed tin exterior, much of the wainscoting on the interior walls and the original windows remained, preserved under layers of covering. One of the most delightful features are the student signatures etched into the tin exterior. 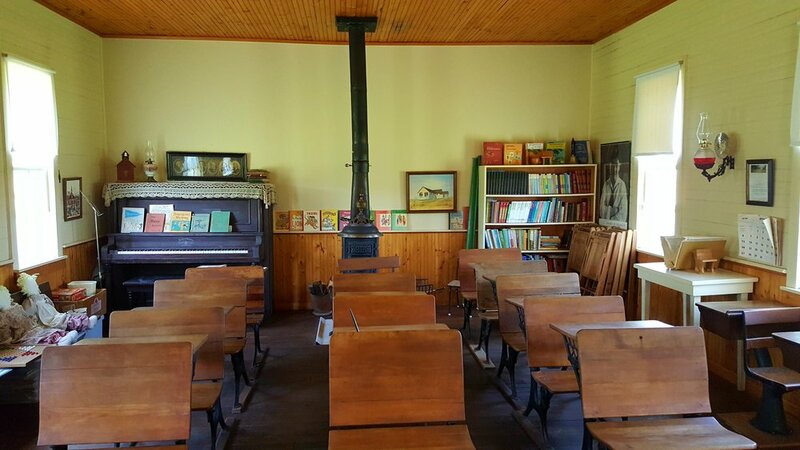 Ardis and John filled their little school with antique desks, a recitation bench, genuine slate chalk boards, antique prints of presidents and text books. A wood burning stove supplies heat. 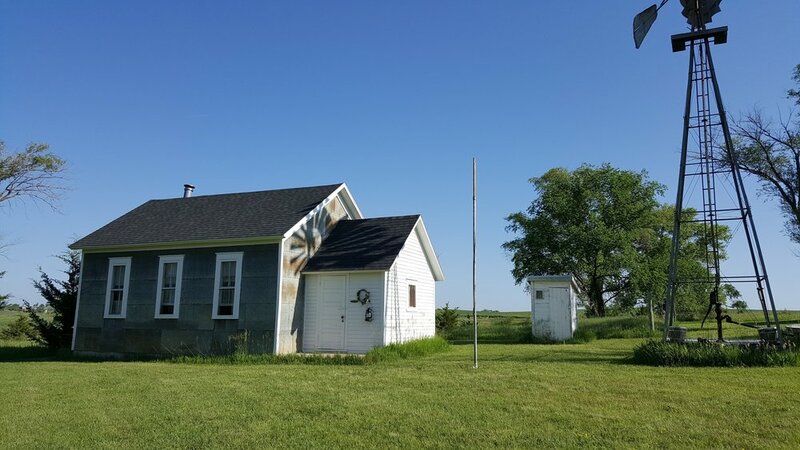 Ardis uses North Star to teach anyone interested about day to day rural school life in Nebraska. It has also host many other activities such as family reunions, meetings, birthdays and community events. It is a beautiful example of country school life in a true rural setting.